We are currently weighing up 2019 cruise options we recently sought your feedback on – and will publish the results of the survey soon in another blog post. We get lots of suggestions on what we propose – and others we aren’t considering. I hope to also publish some of the comments and suggestions in another “comments on your comments” blog post. But those who are interested here are some of the factors that influence our choice of cruises. For obvious reasons we won’t do a cruise that is likely to run at a loss. Some of ours have, including what were otherwise great cruises. But we now have a better idea of what will be viable and what won’t be. 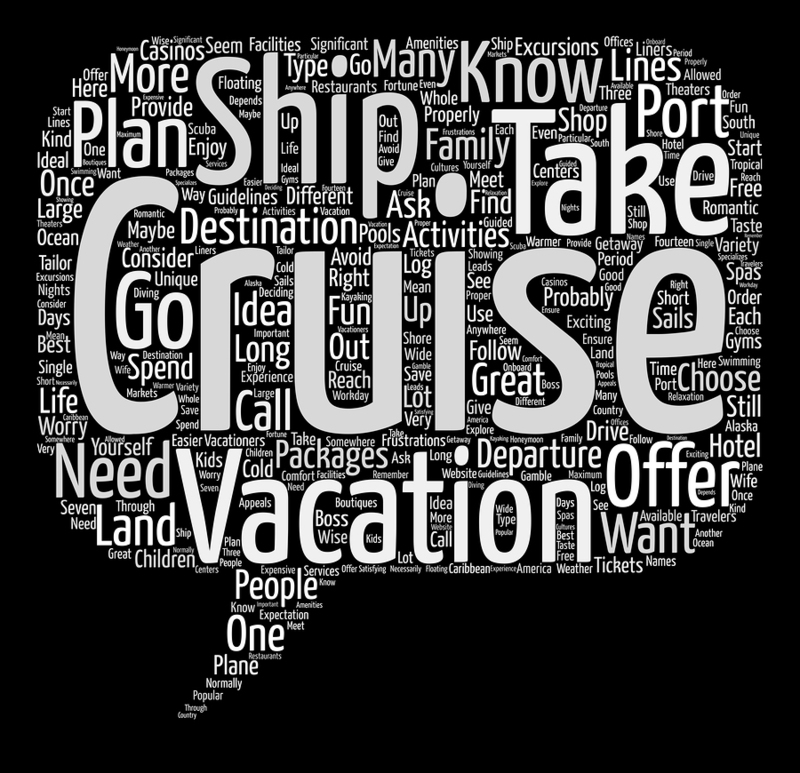 A number of factors affect viability – speakers/program, cost, time of year, ship, frequency of our cruises and more. But the choice of cruise itinerary is the most significant factor affecting its viability. The need to vary itineraries. For some the conference is the over-riding factor and they would come even if we did the same itinerary each year or just cruised at sea with no port stops in between – as we have twice done. But for others the itinerary is the major consideration – one we need to take account of. Only a few ships have suitable conference facilities – for the kind of conferences we run. The larger Royal Caribbean ships have the best conference facilities and are the most flexible by far. Unless a special alternative arises – as our PNG cruise this year – we will always use Royal in future. Australia/New Zealand (most ships) – October to April. This is further limited. December and January are not popular with our group. Even October, November and February are not ideal. The short March/April window is the most acceptable time generally. UK/Europe and Alaska – May to September. conference space on ships often books out early. We have missed out on preferred cruises on a number of occasions by not being “first cab off the rank”. This includes two of the candidates we proposed for 2019 cruises. We did eight cruises in the space of two years from mid-2014 to mid-2016 – with different itineraries, durations and prices. This was no doubt too many for those who would like to do multiple cruises with us. From 2017 we are only committing to one major cruise a year, but if that cruise is in the northern hemisphere we may consider a second shorter/cheaper cruise from Australia as well – as we are considering for 2019. We would love to have people from other countries join our cruises – and the conference is always designed to have international appeal. But until now all our cruisers have been overwhelmingly Australian. Less than 5% have come from other countries. So cruises are chosen solely on their prospect of attracting Australians. And that was the case in our choice of Alaska, though since committing to it we have been surprised at the large number of non-Australian bookings. This is not just North Americans, but also more from Britain and New Zealand than we have had on all 13 previous cruises combined. We have been offering genealogy products and services for 41 years and the time will come to call a halt to some of our many activities – or hand over the reins to another operator. We are committed to a 2018 cruise (Alaska), and hope to commit to one or two in 2019. Beyond that …? Would love to do such a cruise 🚢 & if I know the time of year it will help me plan my holidays. At present not next year. Dana, we will be doing a post shortly with more of what we have in mind. Nothing is yet committed, but if we do a cruise from Australia it will very likely be to the Pacific islands from Sydney – in March or April 2019. If we decide on a second 2019 cruise it will likely be to the Mediterranean from Southampton, possibly in September.